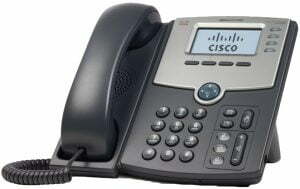 Voice over IP (VoIP), also known as voice over internet protocol, is a phone system that transfers voice and media over internet protocol (IP) networks instead of a traditional phone connection. VoIP technology works by channeling voice into data packets, transferring the data packets through an IP network, and turning them back into voice at the end of the connection. The back-and-forth (or side by side) transmission of these data packets makes conversation with anyone possible. VoIP eliminates the use of traditional circuit-switched telephone networks, reducing infrastructure costs for your small business. They provide versatility traditional phone systems cannot, though they do require more purchasing consideration and are subject to normal internet issues. Why Choose Mixcat VoIP for your phone system needs? High quality HD audio from our premium handset phones or software based phone on cloud technology. Mixcat VoIP technology is dependable with cloud reliability at a fraction of the cost of traditional PBX phone systems. With 70–85% faster install / setup time. Why wait and pay more? What type of business? How many phone numbers do you need? How many phones do you need? What other needs or options are you looking for?